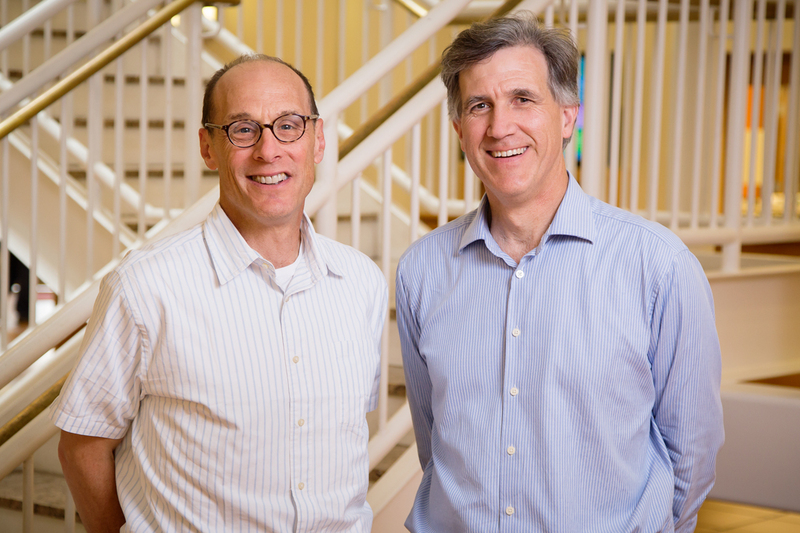 Research from U. of I. agricultural economists Peter Goldsmith, left, and Alex Winter-Nelson found that the direct donation of livestock to impoverished communities in rural Africa had numerous positive effects ranging from a reduction in poverty to an increase in gender empowerment. CHAMPAIGN, Ill. — Two papers co-written by a pair of University of Illinois experts in agricultural policy and international development point to the wealth of positive effects that direct livestock-transfer programs have on impoverished communities in rural Africa. Peter Goldsmith and Alex Winter-Nelson, both professors of agricultural and consumer economics at Illinois, found that the direct donation of livestock – dairy cows, meat goats and draft cattle – had numerous positive effects, including a reduction in poverty and an increase in food security, dietary diversity, economic resilience and gender empowerment. “It’s a modest absolute change in expenditures” – about 25 cents per person per day – “that produces a substantial qualitative change in dietary diversity through the extra milk and meat produced,” Goldsmith said. “It’s an insurance policy against those things. If crops fail, there’s always milk and meat that can be eaten or sold for other food,” Winter-Nelson said. Editor’s notes: To contact Peter Goldsmith, call (217) 333-5131; email pgoldsmi@illinois.edu. The paper “Does 25 Cents More Per Day Make a Difference? The Impact Of Livestock Transfer And Development In Rural Zambia” is available online. The paper “Milk in the Data: Food Security Impacts from a Livestock Field Experiment in Zambia” is available online.